The weather in Sheffield is set to be a mixed bag today, as forecasters predict sunny spells, cloud, close to freezing temperatures and icy conditions. A Met Office yellow weather warning for ice is in place for Sheffield until 11am today. However, temperatures will be slightly warmer than yesterday, with the next couple of days set to be milder. What will the weather be like this morning in Sheffield? This morning will begin chilly and frosty, but the temperature of 2C will climb to 5C by 12pm. There will be a mixture of sunny spells and cloud throughout the rest of the morning. What will the weather be like this afternoon in Sheffield? This afternoon will continue to see sunny spells and cloud, with the temperature reaching its peak of 6C by 1pm and remaining so throughout the rest of the afternoon. What will the weather be like this evening and tonight in Sheffield? This evening will become quickly dark, but remain dry, with the temperature dipping slightly after 5pm. The temperature overnight will be 4C. What will the weather be like tomorrow in Sheffield? Tomorrow will be cloudy throughout the day. However, temperatures will be milder, with a peak temperature of 10C and a minimum temperature of 7C. 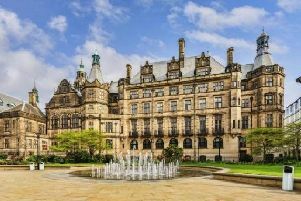 What is the long-term forecast for Sheffield? Looking further ahead, the UK Outlook for Monday 28 Jan to Wednesday 6 Feb said: “Cold and showery conditions are likely at first on Monday, ahead of thicker cloud and rain, perhaps preceded by snow, which is expected to move eastwards later in the day. “Cold and showery weather will probably make a return on Tuesday. “Beyond there, the broad signal is for the unsettled period of the weather to continue, with further bands of rain and hill snow moving east or southeast across the UK, interspersed with brighter showery interludes.